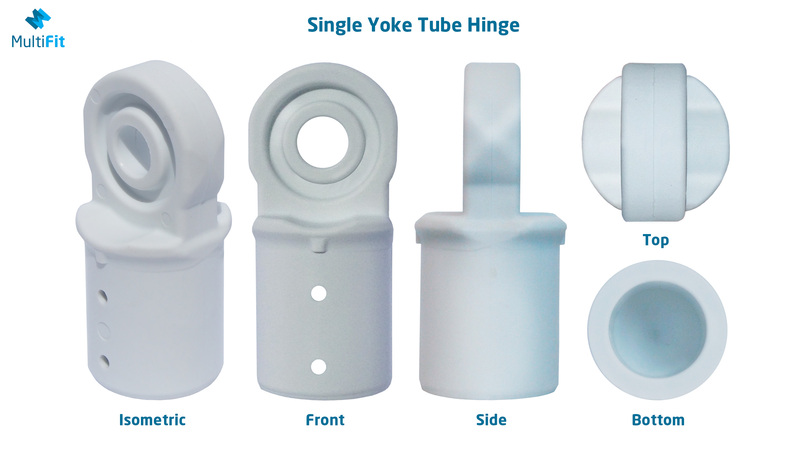 A lightweight, super easy to fix tube hinge that looks great on any application! 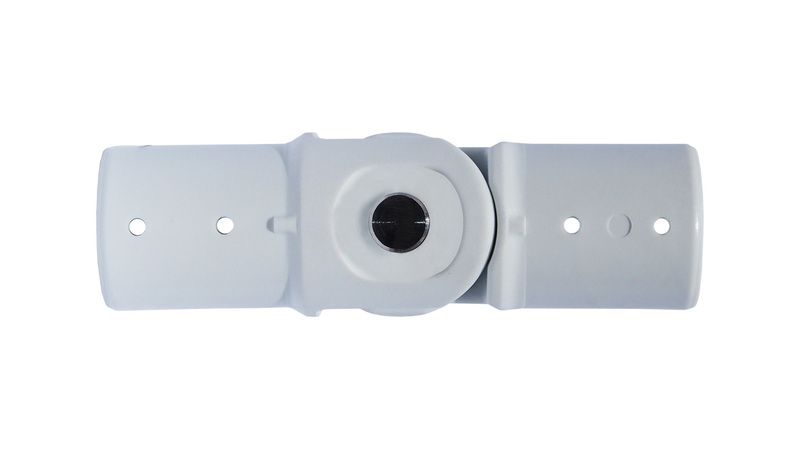 The Multifit Tube Hinge is sleek hinge with a low profile design and an aesthetically pleasing light grey finish. 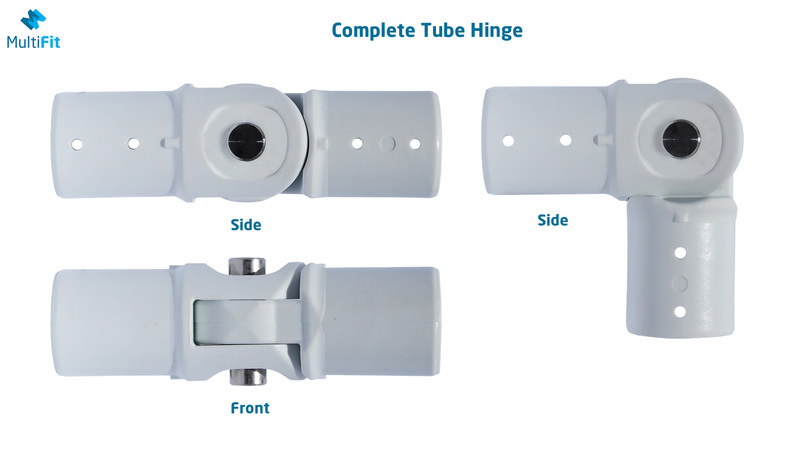 The tube hinge comfortably fits 19 mm tube on its inside diameter and 31.8 mm tube on its outside diameter. Tube can be fastened to hinge by inserting screws through fixing holes (3 mm) on the sides of the hinge, no welding required! The knob its self is constructed from reinforced nylon making it extremely robust and UV resistant. Compared to metal hinges, this tube hinge is lightweight, cost effective and super easy to fix! 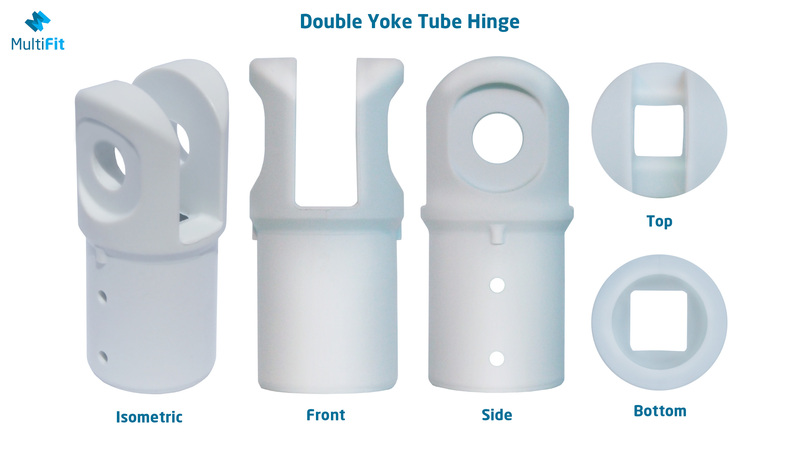 Marine and Outdoor Environments – the robust nylon construction of the tube hinge makes it perfect for outdoor & marine environments where durability is a requirement. The UV resistant nature of the nylon suits it for outdoor use, ensuring that it wont warp or disfigure under the sun. Furniture – with a rounded corner design the tube hinge minimizes risk of pinching and entrapment. It's classic light grey looks complement furniture and modern designs. Interested in distributing the 19 mm & 31.8 mm Tube Hinge? Contact wayne@multifit.co.nz for a discounted distributors price list. Email wayne@multifit.co.nz for enquiries regarding these special orders.